SPECTRUM Centre for Independent Living was delighted to welcome Baroness Jane Campbell, a cross bench peer in the House of Lords and Sian Vasey, a Disabled film maker, to Southampton to discuss all things Independent Living related with our Chief Executive, Ian Loynes. They covered a wide range of topics from employment to welfare reform, not forgetting Brexit of course. You can watch highlights of their conversation below. All of them agreed that none of the political parties were yet offering a comprehensive disability strategy that would enable Disabled People to enjoy true equality within society. If you want to read the full manifesto, please visit our Disability Manifesto page. With the General Election just a week away, many people are still deciding on who they are going to vote for. The election campaign has been dominated by issues such as social care and welfare reform, although sadly the horrific terrorist attack in Manchester has focused everyone’s minds on the issue of safety and security. Our ‘Disability Manifesto’ which sets out what Disabled People would like political parties to commit to doing in the next Parliament, has been a great success. We are aware that it is a fairly long document so we have summarised the key commitments for each topic area into a short document so people can see at a glance what Disabled People want the political parties to sign up to. We hope this summary document will be easier for some people to access. We will also be tweeting out the key commitments between now and the big day as well as releasing a video with some very special guests discussing our manifesto so keep an eye on our blog and Facebook page over the next few days. SPECTRUM 2017 Disability Manifesto out now! There are more than 13.3 million Disabled People and people with long-term health conditions in the UK – a very sizeable part of the electorate in 2017. We believe it is essential for Disabled People’s voices to be heard in the debates around the 2017 General Election – not only because they represent a large number of votes but, more importantly, because they are deeply affected by so many of the key issues at the heart of political debate. On the 25th May 2017, SPECTRUM Centre for Independent Living will be launching our Disabled People’s DISABILITY MANIFESTO – a pragmatic and realistic range of proposals which shows how the Government, any Government, could address the unfairness, the indignities and the discrimination that Disabled People have faced because of austerity measures. The launch of the DISABILITY Manifesto will be the start of our campaign to bring the needs, and the solutions that Disabled People are proposing, to the eyes and minds of the electorate, and into the minds of politicians and policy makers. John Evans OBE has fought tirelessly for over 30 years, for the rights of Disabled People across the UK and Europe. In this exclusive video interview with SPECTRUM, he explains why remaining in Europe is so important for Disabled People. He argues the EU has protected the rights of Disabled People and has pushed for more action to be taken on improving access. Not just physical access but also accessibility on the Internet which is increasingly important. John has already written extensively on this subject and we recommend you read our earlier blog post where John outlined the case for voting to remain in the EU. As John points out, this is a decision that will not just affect us, we need to think about the young Disabled People who come after us. Do we want to risk the rights that we have fought so hard for over thirty years,to be chipped away at, or repealed all together? John will be voting to Remain in the EU on Thursday. We hope YOU will too! As the EU referendum campaign begins its final week before the vote on Thursday, many people on both sides of the debate will breathe a sigh of relief that’s it’s nearly over. The shocking murder of Jo Cox will hopefully lead to a more dignified conclusion to the campaign. 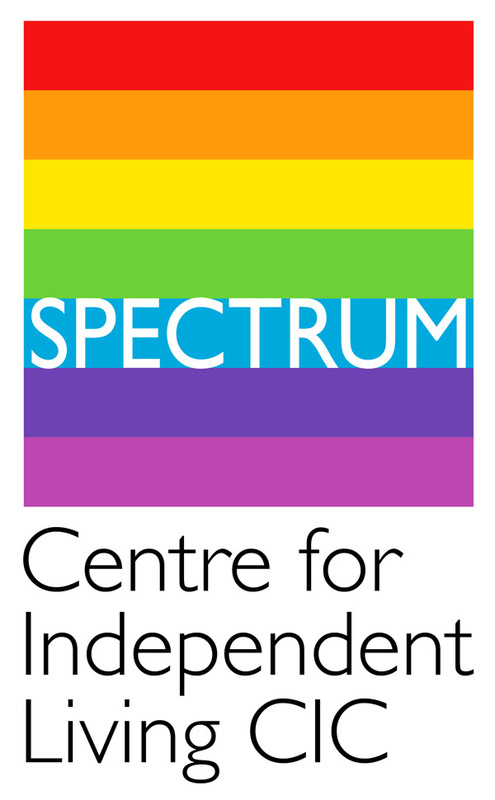 SPECTRUM Centre for Independent Living took the decision fairly early on in the campaign to support the Remain In side of the debate. We are pleased to see that the majority of Disabled People’s Organisations who have expressed a view have joined our position that Disabled People’s lives have been improved by Britain being in the European Union and that our rights will be protected better by remaining in the EU. As one of our closest allies, John Evans has pointed out, many of the laws around accessibility and human rights have originated within the EU. Whilst none of these laws would change overnight if we were to leave, there is a clear and present danger that Disabled People’s rights and entitlements would be undermined if we were to leave the European Union. We are aware that migration is an issue that many people feel strongly about, however one of the strengths of Britain is the diversity of our different communities. SPECTRUM has always felt that diversity should be celebrated and welcomed. Southampton, the city where SPECTRUM is based, has many citizens from other EU countries. Over 10% of staff at Southampton General Hospital are from other EU countries. Dedicated doctors, nurses as well as other support staff who keep our NHS running. Many EU citizens work in the social care sector too, supporting Disabled People to live independent lives within society. Despite this, locally we have real difficulties recruiting staff to work in social care. How much worse will be the recruitment crisis if Britain leaves the EU. SPECTRUM has made a short video interviewing our CEO, Ian Loynes. We will also posting a list of links you may want to look at, ahead of the vote on Thursday, to inform your decision. SPECTRUM thinks you should vote to remain, but we believe Disabled People should think through the options and make their own decision. Think about what matters to you. Do you want to live in a country that respects equality and human rights? Do you welcome diversity within your community and reject prejudice? The latest figures released from the Home Office in October 2014 show that there were just under 2000 Disability hate crimes in England and Wales in 2013/14, an increase of 8%. It is not clear what is the cause of the increase. It may be that police are identifying and recording Disability hate crime more accurately. It could also be due to Disabled People being more aware that they should report these types of offences to the police. Some argue that the portrayal of Disabled People as ‘benefits scroungers’ in the media has adversely affected society’s perception of Disabled People. Whatever the cause, it was an apt time for SPECTRUM Centre for Independent Living and Hampshire County Council to co-host an event on hate crime. The event brought together a wide range of stakeholders interested in tackling hate crime. The event was particularly positive as people affected by all types of hate crime (race, religion, sexual orientation, disability, transgender, traveller community) participated. This meant there was a wide range of experiences and viewpoints in which to draw upon. In addition to the affected communities themselves, representatives from other agencies such as the police, local authority, housing associations and Crown Prosecution Service were also present to give their views on tackling hate crime. Some of the common themes from the event were the importance of education particularly for young people to understand the negative effects of name calling, intimidation on people who are from a ‘minority’ group. Communities need to know how they report hate crime and how it will be investigated. People need to have confidence that the issue will be taken seriously and other stakeholder agencies need to know how to proceed if hate crimes are reported to them. In summary, the event was a useful opportunity for everyone to think about how we need to all work in partnership to tackle hate crime and how that will improve all our communities for the better. SPECTRUM will be producing a full report on the day shortly, which will be available on the website. On the 30th of January 2013, Southampton Centre for Independent Living officially re-launched itself as SPECTRUM Centre for Independent Living. This was obviously a momentous day for all the staff members and allies of SCIL. For the past 28 years, SCIL has provided high quality services to Disabled People and their allies. We hope that with this modern new branding, we will be able to attract even more Disabled People to our cause and help to promote the concept of Independent Living to the wider community. It has been a long journey to decide on how to rebrand, however, we feel that the SPECTRUM logo reflects the diversity of our members and our aspirations for a bright new colourful future. At an exciting ceremony at Winchester, Ian Loynes, SPECTRUM’s Chief Executive, formally announced the change at just before 11am on the 30th of January 2013. Ian greeted the audience with a dynamic and wide-ranging presentation on the history of Disabled People through the years, as well as how SCIL has developed over the 28 years that it has been in existence. Ian emphasised that this was not the end of SCIL, it was just the beginning of a brand-new era of modernising the way that people think about Disabled People. Over the next few months, SPECTRUM Centre for Independent Living will be sharing a lot more of their exciting plans as to how they hope to go forward over the coming years. The Hampshire ULO Project has already begun work at developing more user-led organisations across Hampshire. This work will lead to even more Disabled People getting involved in campaigning for equality and human rights. At the National level, Disabled People are going through a difficult time of change so we feel that the time is right for user-led organisations to unite together to ensure that all people are treated equally and their human-rights are protected. We hope you will join us in the bright new future that we have planned for SPECTRUM and raise a toast to our success. SPECTRUM’s December 2018 Newsletter is published – just in time for the Christmas Break! What is the Purple Pound? SPECTRUM's Philosophies: 2: What is The Social Model of Disability?